Amosoft offers Ingram Micro compliant EDI solutions to enable your business to become Ingram EDI compliant. Our fully integrated EDI solution enables you to send your EDI documents to Ingram Micro easily and effectively, with the confidence that your Ingram compliant EDI transactions are processed with the proper data and unique EDI guidelines that Ingram Micro requires. 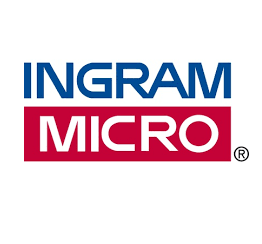 We make it easy to comply and start trading electronic data with Ingram Micro Inc. The EDI X12 850 transaction set is a Purchase Order document. Each X12 850 Purchase Order can be used to create new Purchase Order document that will be sent later on to the trading partner. We, at Amosoft, can create an X12 850 Purchase Order. By creating an X12 850 Purchase Order you will save time and money and you will benefits from preventing typing errors! That's the big plus on creating new X12 850 Purchase Order document. Using X12 850 Purchase Order can automate your business process and help you increase your revenues. We not only offer the X12 850 Purchase Order, but we also offer the 810 Invoice as complementary solution that you might need. Turn-Around X12 850 Purchase Order into a X12 810 Invoice is just another great way help your business grow and get where you want it to be. The X12 997 transaction set we generate against every X12 850 Purchase Order and is free and you can generate as many Ack. as you wants, we won't charge you. Same goes for using X12 850 Purchase Order. Data contents of the Invoice Transaction Set (810) for use within the context of an Electronic Data Interchange (EDI) environment. The transaction set can be used to provide for customary and established business and industry practice relative to the billing for goods and services provided. The EDI X12 810 transaction set is an Invoice document. It can be used to create new Invoice document that will be sent later on to the trading partner. When you want to bill your customers, just create an Invoice using our set of easy to use EDI tools and we will make sure that your customer gets the Invoice quickly (in less then ten minutes), that way you will guaranty the a faster, more reliable payments into your business account and improve your cash flow! We, at Amosoft, can create an X12 810 Invoice. By creating an X12 810 Purchase Order you will save time and money and you will benefits from preventing typing errors! That's the big plus on creating new X12 810 Invoice document. Using X12 810 Invoice can automate your business process and help you increase your revenues. We not only offer the X12 810 Purchase Order, but we also offer the 810 Invoice as complementary solution that you might need. Using EDI X12 810 Invoice is just another great way help your business grow and get where you want it to be. The X12 997 transaction set we generate against every X12 810 Invoice and is free and you can generate as many Ack. as you wants, we won't charge you. Data contents of the Ship Notice/Manifest Transaction Set (856) for use within the context of an Electronic Data Interchange (EDI) environment. The transaction set can be used to list the contents of a shipment of goods as well as addi-tional information relating to the shipment, such as order information, product description, physical characteristics, type of packaging, marking, carrier infor-mation, and configuration of goods within the transportation equipment. The transaction set enables the sender to describe the contents and configuration of a shipment in various levels of detail and provides an ordered flexibility to convey information. The sender of this transaction is the organization responsible for detailing and communicating the contents of a shipment, or shipments, to one or more receivers of the transaction set. The receiver of this transaction set can be any organization having an interest in the contents of a shipment or informa-tion about the contents of a shipment. Data contents of the Functional Acknowledgment Transaction Set (997) for use within the context of an Electronic Data Interchange (EDI) environment. The transaction set can be used to define the control structures for a set of acknowledgments to indicate the results of the syntactical analysis of the electronically encoded documents. The encoded documents are the transac-tion sets, which are grouped in functional groups, used in defining transac-tions for business data interchange. This standard does not cover the semantic meaning of the information encoded in the transaction sets. Data contents of the Purchase Order Acknowledgment Transaction Set (855) for use within the context of an Electronic Data Interchange (EDI) environment. The transaction set can be used to provide for customary and established business and industry practice relative to a seller's acknowledgment of a buyer's purchase order. This transaction set can also be used as notification of a vendor generated order. This usage advises a buyer that a vendor has or will ship merchandise as prearranged in their partnership.